Funding is just one layer of AVG’s relationship with its portfolio companies. Founders also get white glove treatment by the firm’s VP of Portfolio Services, Peter MacEwan, who helps startups leverage AVG’s vital network of job candidates, marketing opportunities, and so much more. A chief pillar of AVG’s investment strategy is to follow top lead investors such as Kleiner Perkins, Sequoia Capital, and Andreessen Horowitz into deals. The firm writes a relatively small check to startups, so it’s able to both invest widely and smartly. And AVG doesn’t take board seats or majority controlling stakes the way its peers do. This novel approach has proven successful for AVG, but the dynamic often begs the question: What’s in it for the founders? 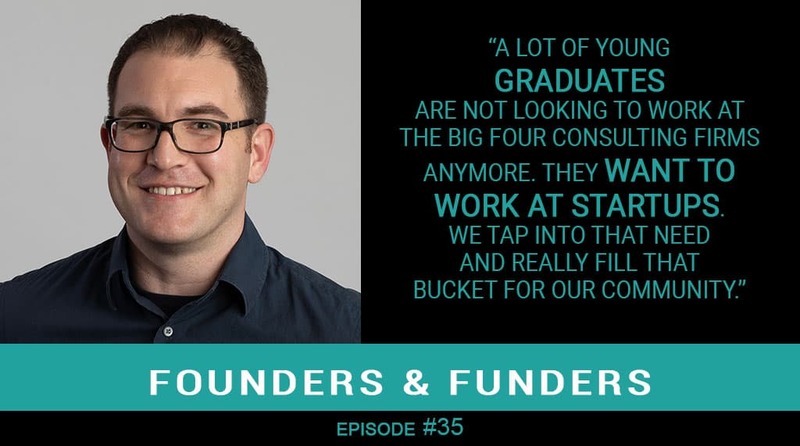 Peter MacEwan, VP of Portfolio Services at AVG, appeared on Founders & Funders to explain. On one hand, the goal of Portfolio Services is to position AVG as a great partner. On the other, it’s to help the firm’s investments become stronger, more successful, and better able to reach a successful exit—which benefits AVG investors and strengthens the case for AVG investment. Listen to this podcast for more examples of how AVG enhances the strategic initiatives and possibilities of its portfolio companies. And, if you haven’t already, subscribe to Founders & Funders on iTunes, TuneIn, Stitcher, Google Play, iHeartRADIO, and Android.